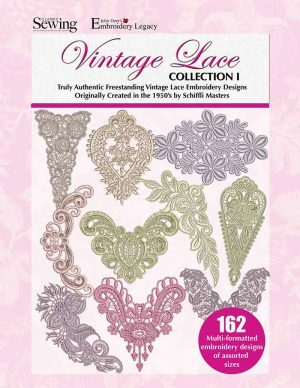 The word “vintage” is rarely used with machine embroidery today. 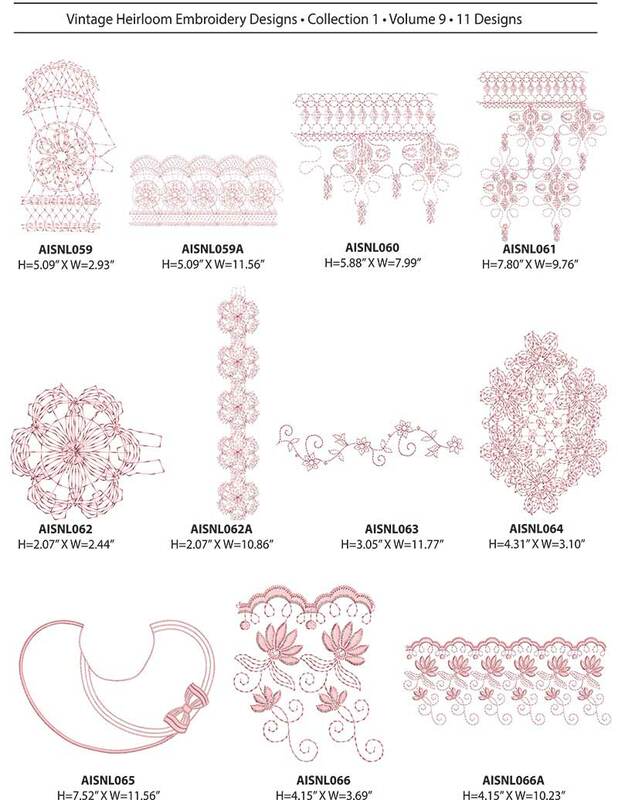 Machines, software, and designs are all new. 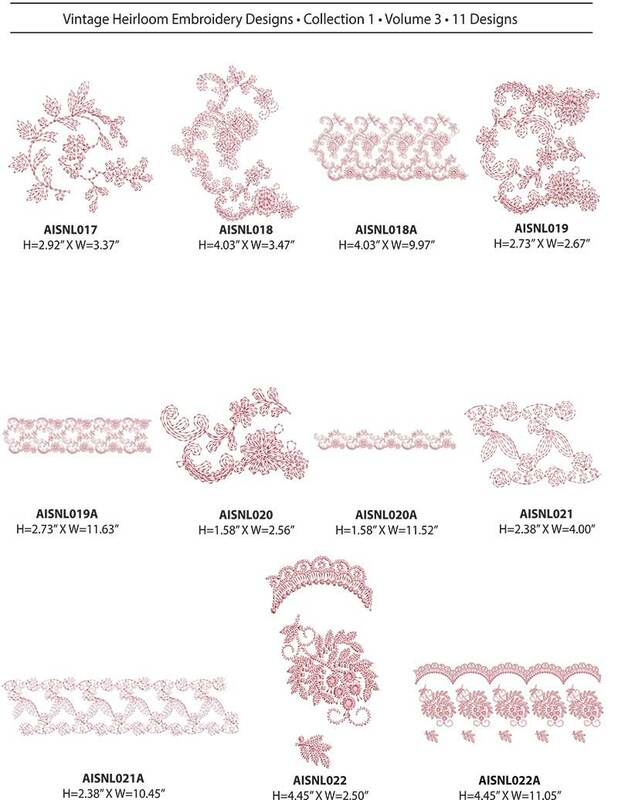 But, new doesn’t always mean better—especially when it comes to lace. 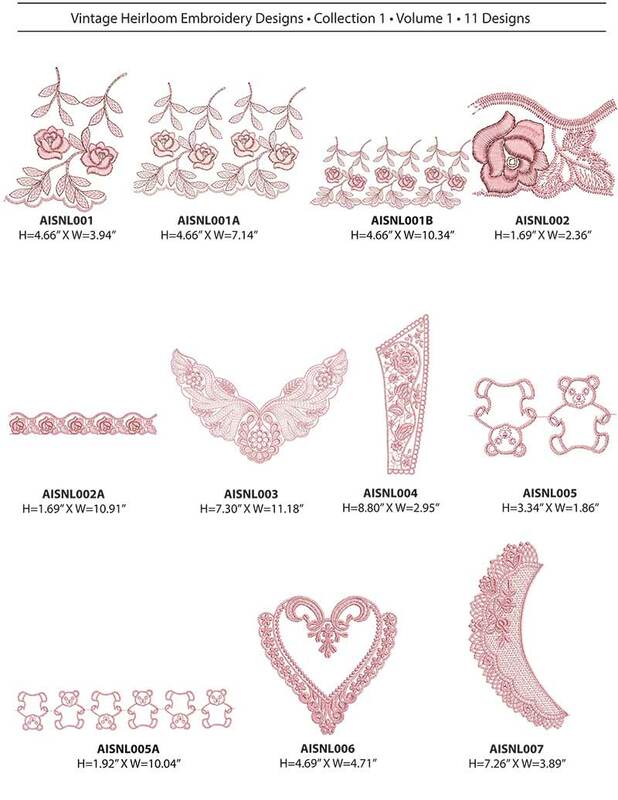 Lace is never new or old, but rather a timeless piece that spans across generations. 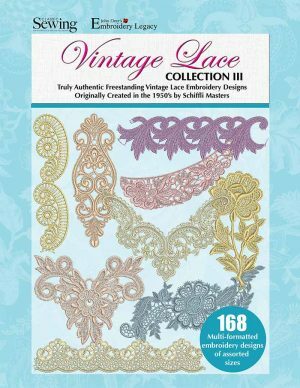 This is where Classic Sewing’s Vintage Lace comes in. 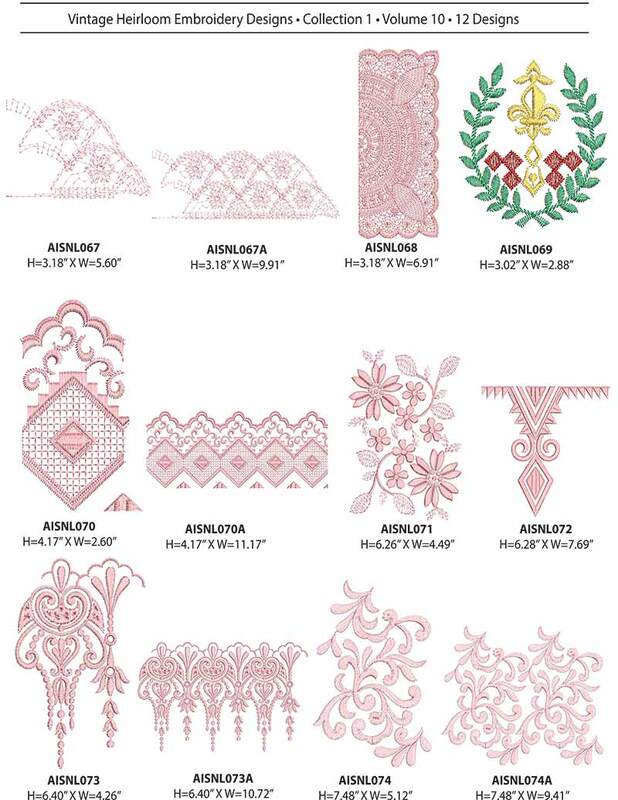 Each design was manually punched one stitch at a time by Schiffli Master Digitizers back in the early 1950s. 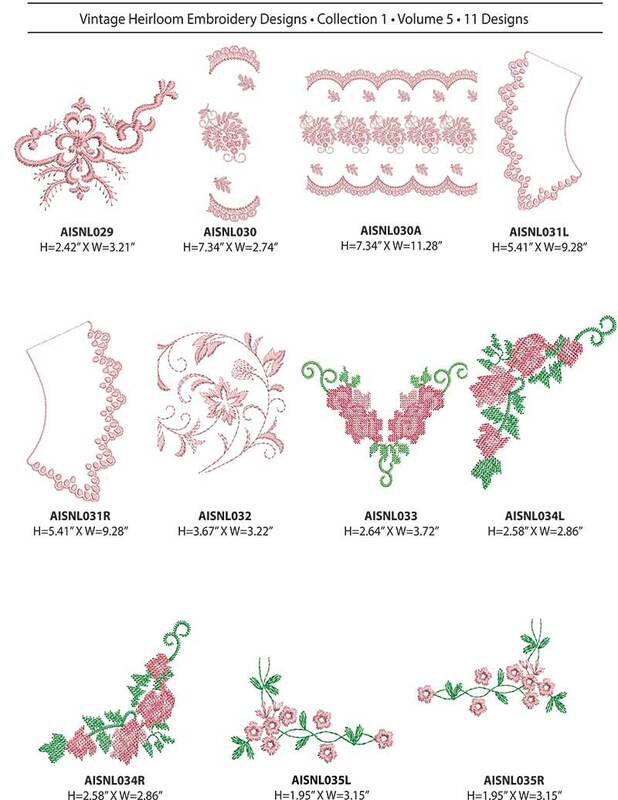 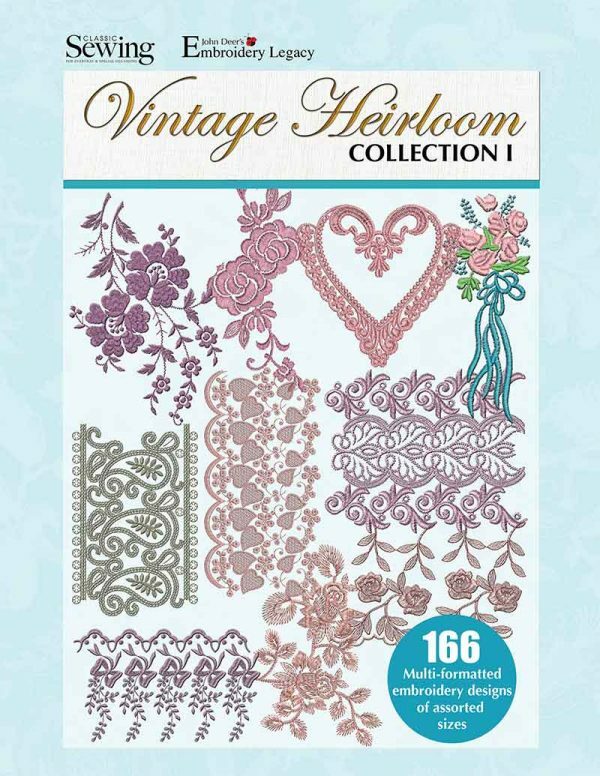 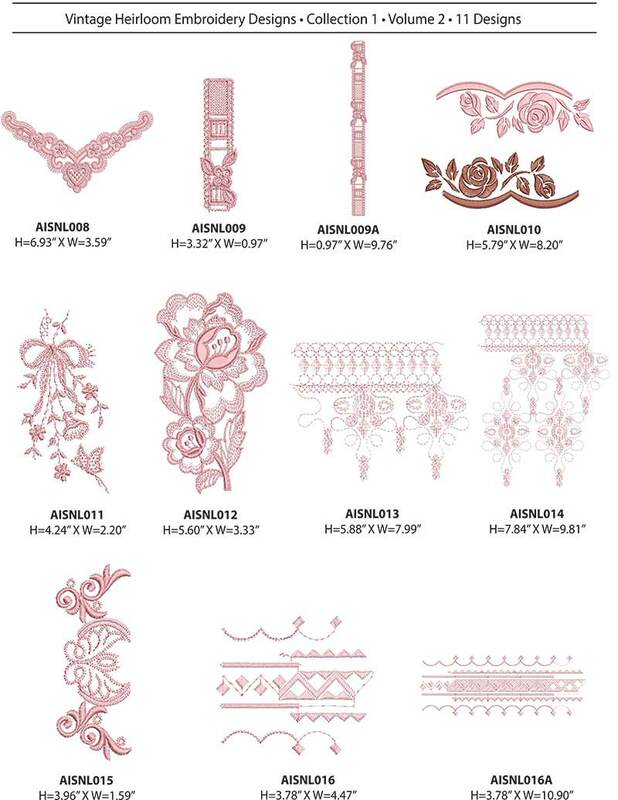 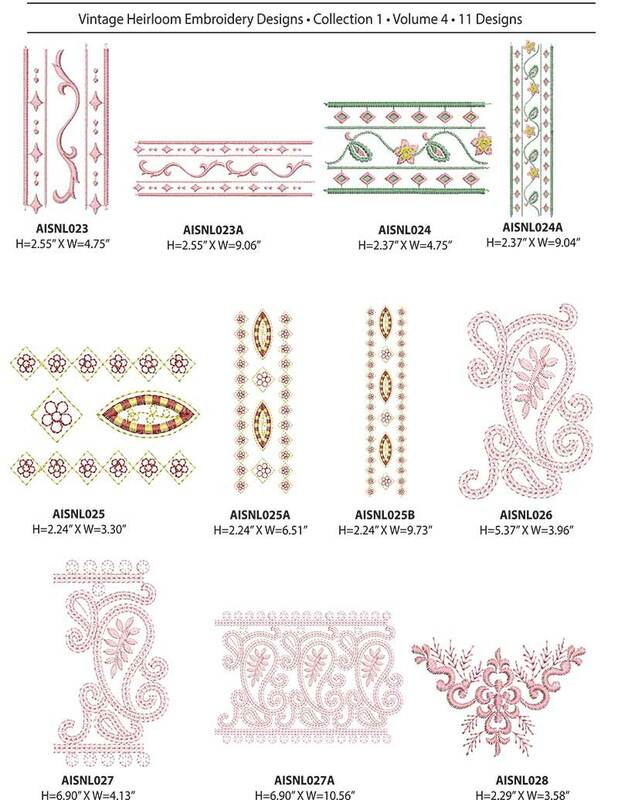 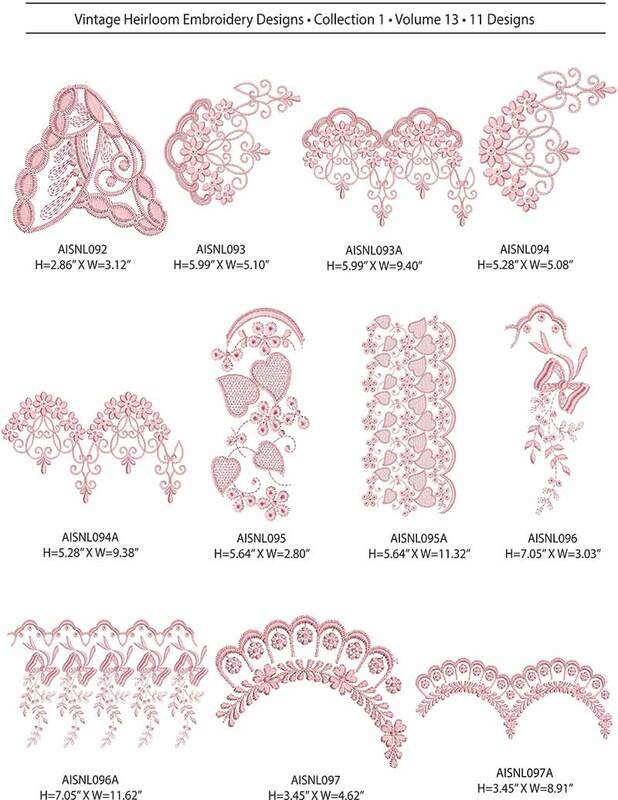 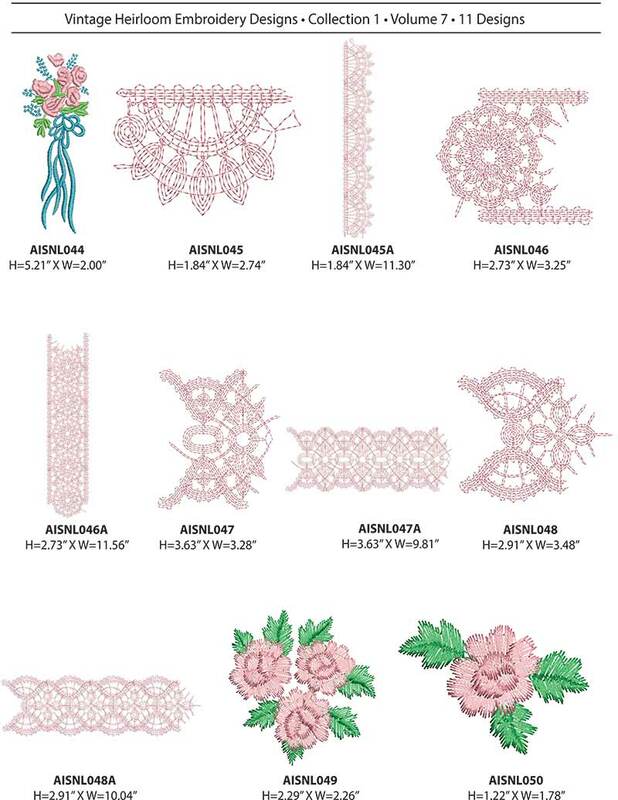 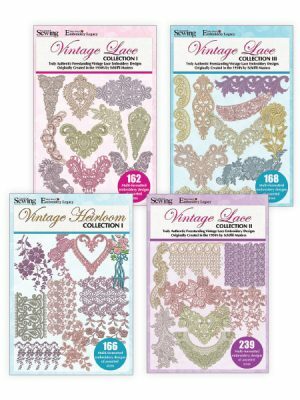 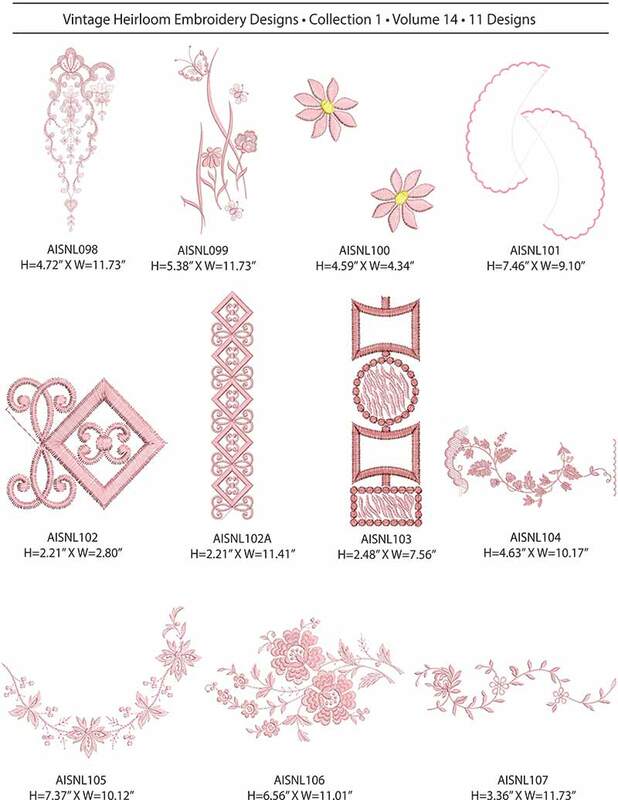 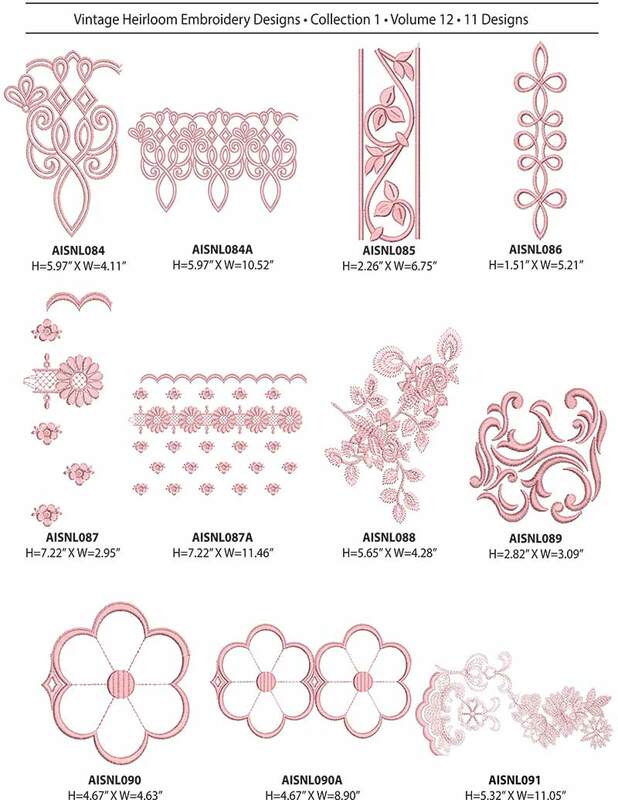 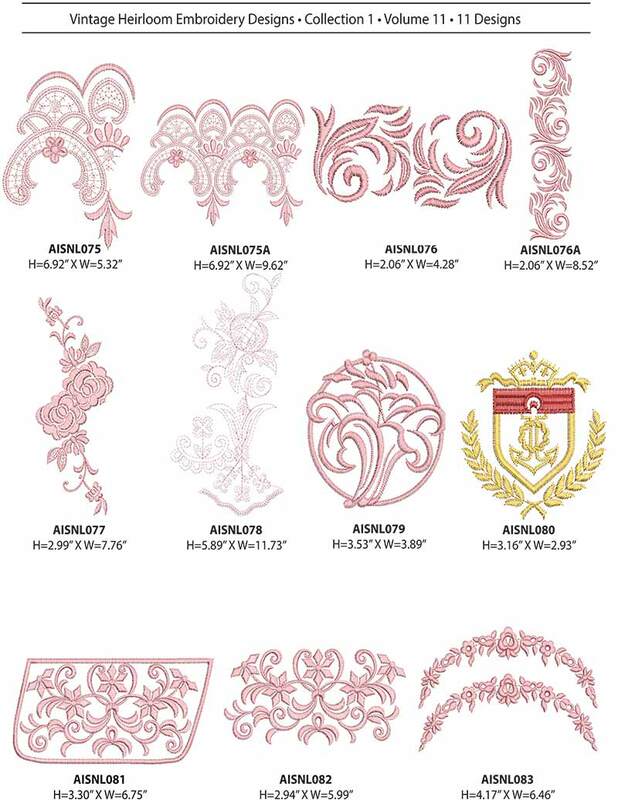 Originally created for the bridal industry with Old-World European craftsmanship, these lace designs are truly a piece of embroidery history. 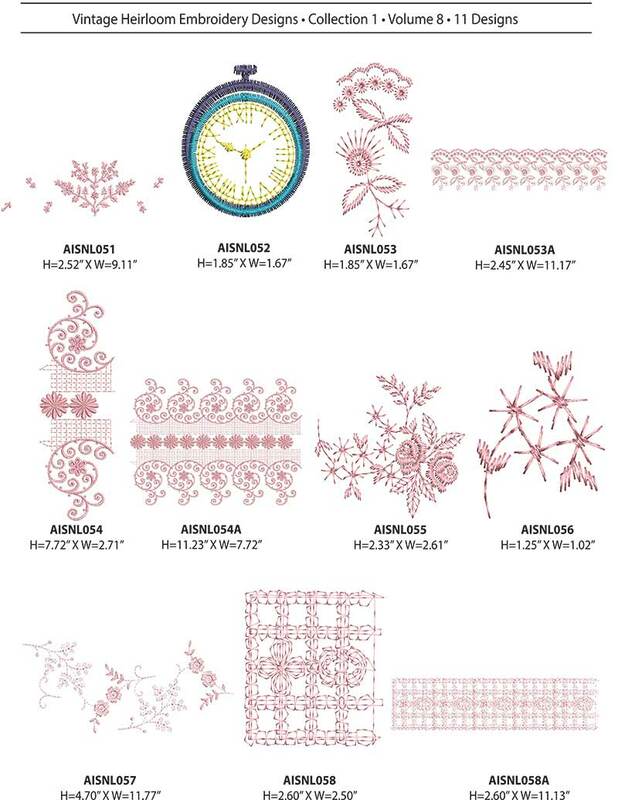 The hand-drawn drafts for these patterns were discovered in an old Schiffli factory in the late ’90s when mass embroidery production moved overseas. 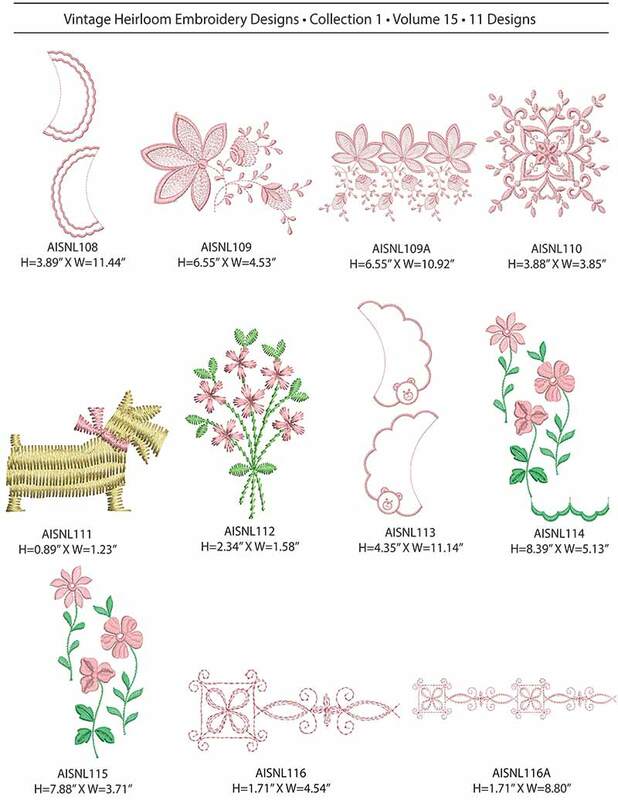 The paper drafts have since been converted to run on your modern embroidery machine. 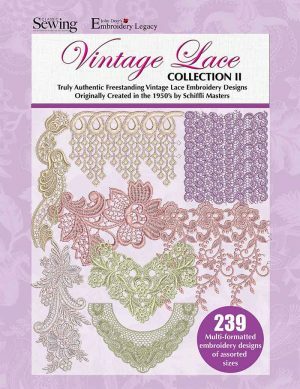 Whether it be clothing, quilts, pillows, or anything else, this soft, beautiful lace will add a touch of elegance to your next project. 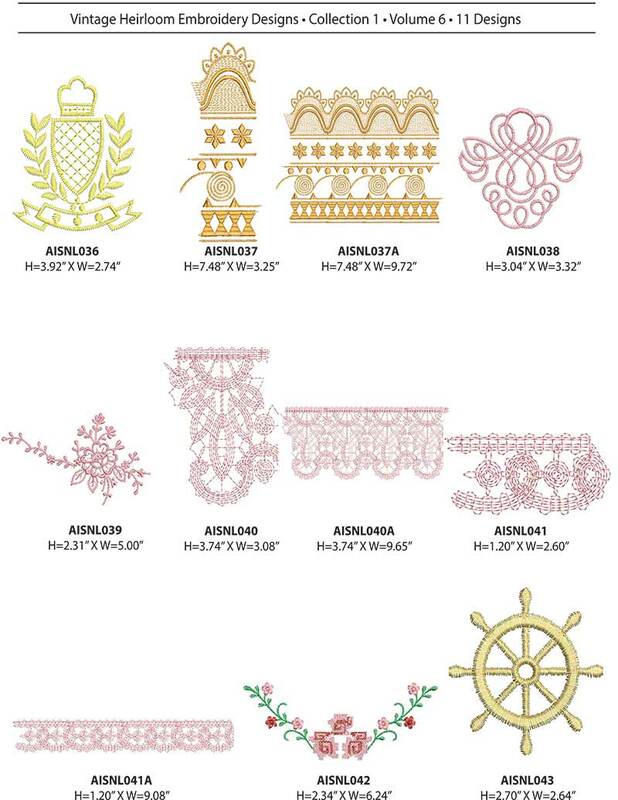 Bring the beauty of the past into your future, and stitch out a piece of embroidery history today.